Tricky, talented marketing here drives this Dylan’s Candy Bar Valentine’s Day Island Display. Hearts, colors and props tie to the Holiday as an extra Seasonal sales push. But look close to see triangular and common box package shapes that can stay marketable after the day itself passes. Something unmistakable is the upscale look of a designer daughters line. 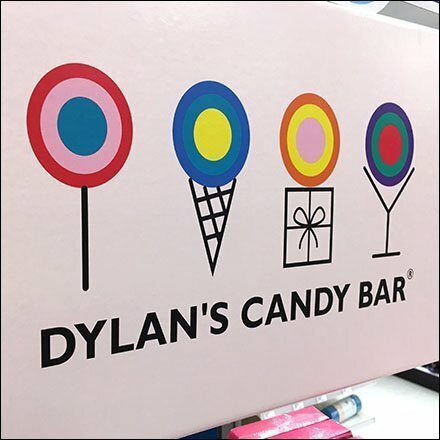 Yes Dylan’s Candy Bar is the intellectual and confectionary property of Dylan Lauren, daughter of Ralph Lauren. Though upscale, this Dylan’s Candy Bar Valentines Day Island Display seen gracing Target.